From his inauguration in January, to Charlottesville and pulling out of the Paris Climate Change Agreement, to nuclear sabre rattling with North Korea, no single idividual domntesx the world quite like (that's us putting it politely) Donald Trump. 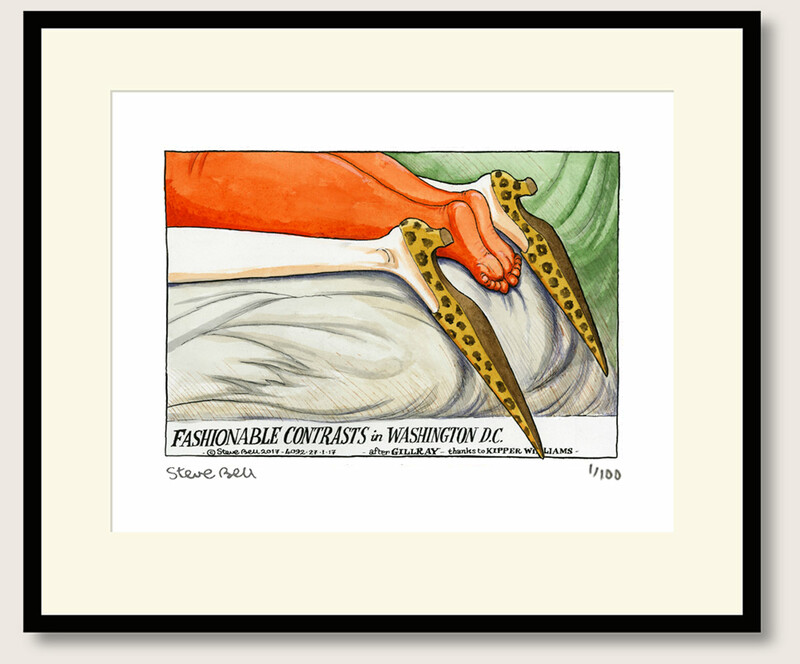 After a Gillray original, Steve Bell offers a particularly graphic version of the special relationship. Fortunately this extends only to holding hands, the rest we'll leave to the cartoonist's vivid imagination. 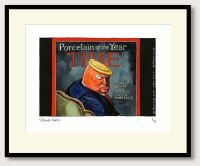 A modern classic, limited edition of 100 prints, individually numbered and signed by Steve, framed, crated and tracked delivery ready for display. Gift-wrap With exclusive Philosophy Football wrapping paper and gift tag. To personalse your tag type the message you would like us to include in the box below.